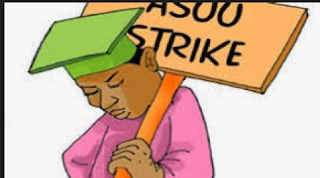 The Academic Staff Union of Universities (ASUU) is one of the unions that should be feared in Nigeria, if not for anything but for its readiness to embark on strike in order to compel authorities to meet its demands. It has been gathered that ASUU has embarked on strike for over three years since 1999 . Below are the details of ASUU strike since Nigeria transitioned into a democratic nation. Olusegun Obasanjo became the first democratically-elected president in Nigeria when he was sworn in as president in 1999. A few months after Obasanjo became president, ASUU embarked on a nationwide strike, and this lasted for five months. After the strike that lasted for five months in 1999, ASUU embarked on another strike that lasted for three months. What was ASUU's grievance? The union was expressing its displeasure over the sack of 49 lecturers by the University of Ilorin. On December 29, 2002, ASUU embarked on another strike that lasted for two weeks. The strike was embarked upon because the federal government failed to implement the agreement it had with the union. Another strike began in 2003, which left Nigerian university students idle for six months. What did ASUU want this time around? The union said government had failed to implement previous agreements related to poor funding of universities among others. A three-day warning strike was embarked upon by the union in 2006. The three-day warning strike eventually became a week industrial action. On March 26, 2007, Nigerian public universities were shut down by ASUU. This time around, the strike lasted for three months. The union embarked on strike in 2008 in order to compel authorities to improve salary scheme of its members. ASUU also wanted the University of Ilorin to reinstate the 49 lecturers that were dismissed in 2001. The strike lasted for one week. The lecturers were not reinstated despite court ruling in their favour. Another strike was embarked upon by the union, and this lasted for four months. What was the reason for the strike? ASUU wanted the federal government to implement the agreement of previous years. ASUU and federal government entered into a new agreement in 2009, and in October of the same year, the union called off the strike. The 2009 agreement between ASUU and federal government would later become the reason for subsequent strikes by the union. On July 22, 2010, the union embarked on another strike that lasted for over five months. ASUU called off the strike in January 2011. Again, ASUU went on strike in December 2011, citing federal government's failure to implement the 2009 agreement as reason. The strike, which was called off in 2012, lasted for 59 days. On July 1, 2013, another industrial action was embarked upon by ASUU. Why? The union wanted the federal government to implement the 2009 agreement by reviewing the retirement age for professors from 65 to 70 years and increase budgetary allocations to the education sector by 15 to 20% among other things. The strike, which lasted for five months and 15 days, was eventually called off on December 17, 2013. The latest ASUU strike was declared on November 4. What is ASUU demanding? The union wants the federal government to properly fund Nigerian universities and honour previous agreements between the duo among other things. Nigerian students are hoping that ASUU will call off the strike soon so they can be back in the classrooms to continue with their academic pursuit.